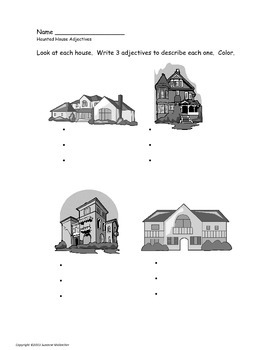 Students create a listing for a house of their choosing! 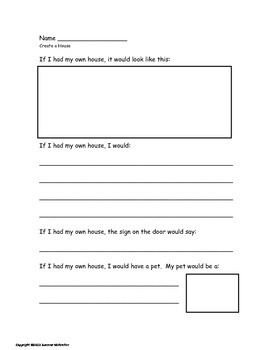 Each child has the option to choose 1 of 5 pre-designed homes or use one of the blank templates to create one of their own! 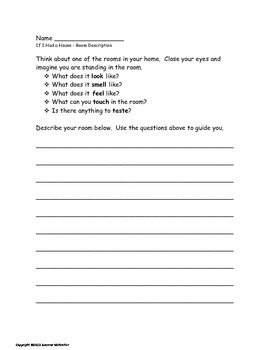 Use as a whole class or in a center! The two lines in the upper left hand corner should display the home's address. Students have the option to include additional photos of the property so where it states Photo (1 of __) they can note that they've included other photographs. 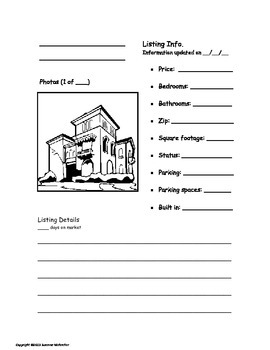 Status refers to whether the home is for sale or for rent. Parking refers to street/garage/metered and don't forget to include how many days the home has been on the market! Don't forget to check out the Halloween Haunted House Activity!